Does your man need a fashion makeover? Get him out of the fashion nerd dog house! 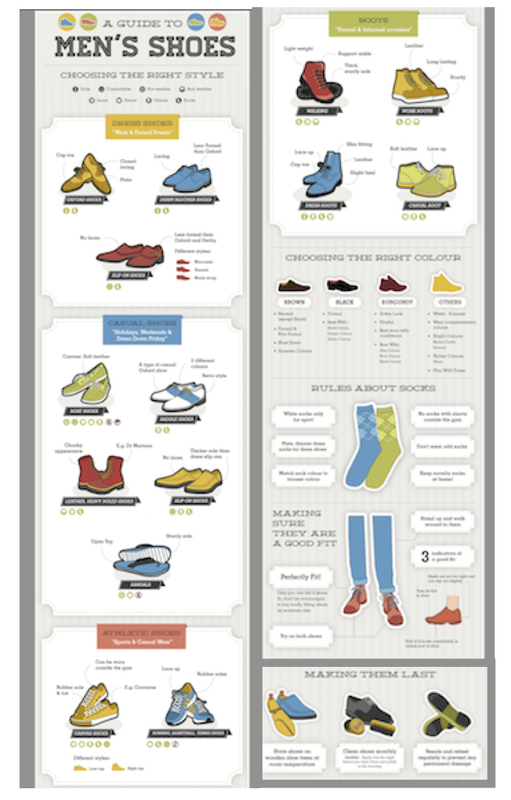 Here’s the perfect style of shoe for different occasions, what color shoes work best, and the RULES ABOUT SOCKS!!! Click image to enlarge.